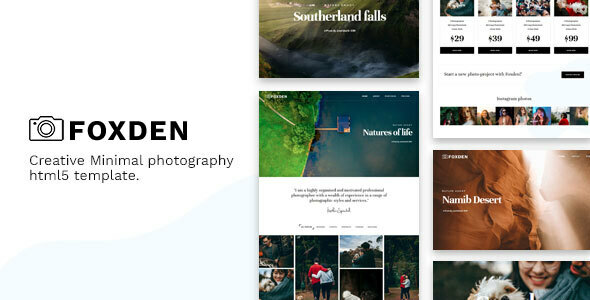 Foxden is a responsive one-page Photography template suitable for any Photography Portfolio. Foxden will help you to make photographer, portfolio agency or other business very easily as it has been coded in Bootstrap and CSS3. It looks great with all types of devices (laptops, tablets and mobiles). Demo images used only for demo purpose not included in download file.